For maximum loudness with a minimum of fuss, IL's Maximus may be just the ticket — and it does subtlety as well. Calling a plug–in Maximus might suggest that Image Line (of Fruity Loops fame) are pandering to the louder–is–better school of DIY mastering thought. However, don't let the name fool you. While Maximus does have the ability to make a quiet mix louder, it has many other uses besides, and its combination of features could make it a good dynamics tool for individual tracks within a project, as well as for processing complete mixes. In essence, Maximus offers three frequency–based bands of dynamic processing (low, mid and high) plus a 'master' band that operates across the whole frequency range. As well as dynamics, it also includes stereo separation and saturation processing. 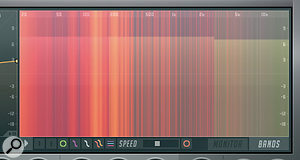 At present, Maximus is available as a plug–in for Fruity Loops or in Windows VST format; I used the latter for review. One of the key features of Maximus is its user–definable compression envelopes. This allows the plug–in to provide traditional compression but also to act as a limiter, noise gate or expander. 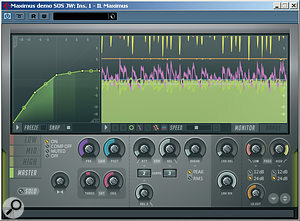 Maximus can also be configured for parallel compression (a number of Mike Senior's recent Mix Rescue columns — such as in the April 2008 issue — have featured examples of this technique) and de–essing. Other features include variable attack and release speeds for each band and the ability to adjust the frequency split-points between the low, mid and high bands. Either IIR (Infinite Impulse Response, the default setting) or linear–phase filters are applied at the band–splits: the latter produce smoother results, but also carry a greater CPU overhead. The supplied electronic documentation includes some excellent tutorials and, for those new to this degree of control in a dynamics processor, these are well worth working through. Installation proved very straightforward; on purchase, IL supply a registration key file that removes the regular noise that interrupts playback within the otherwise fully functional demo version. Maximus is contained within a single, compact window. Indeed, some of the text is a little too compact (get a magnifying glass ready) but, thankfully, the VST version includes a hint bar along the bottom edge. This displays an expanded explanation of each control label as the mouse scrolls over the main window, and setting values as a control is adjusted. The window is split into four zones. The Analysis Display at the top right can be configured to show a number of different types of information, including the main or band–specific input peaks and band output peaks. Pressing the Bands button toggles this area of the display to a spectrogram view, within which the frequency band cutoff points can be adjusted via the mouse. The Envelope display can show settings for one compression band at a time, and the key feature here is the ability to draw customised compression curves to create a whole range of different dynamics processing options. Some obvious examples are illustrated in the screen shots, but the degree of control is considerable. Even when considered as a simple insert effect on a single track, this feature alone is likely to make Maximus a much more powerful dynamics processor than the majority of compressor–style plug–ins bundled with most mainstream DAWs. Depending on the task at hand, Maximus includes a number of different preset curve 'types' and these can be selected by right–clicking on a control point within the current curve. Control points can be repositioned with the mouse and new points added (again, by right–clicking) to fully customise the relationship between input and output levels. The Analysis Display also offers a spectrogram view.The Band Process Control section at the bottom left allows bands to be soloed and muted, and the compressor for a band can be turned off while leaving other processing in the band still operating. Aside from the usual pre–compression and post–compression gain controls, this section also allows the stereo separation to be increased or decreased, and a little analogue–style saturation can be added. The Attack and Release controls do what might be expected, but both can be adjusted in a more subtle fashion via the Curve options and Release 2 knob, although, in use, I found the effect of these controls to be subtle at best. A choice between peak and RMS level detection is available for each band, as is variable look–ahead. Low and High knobs at the bottom right provide an alternative means of setting the frequency band cutoff points, with a choice of 12 or 24dB/octave slope. A fixed 20Hz high–pass filter can be switched in, and the LMH Delay knob adjusts how far Maximus looks ahead for the low, mid and high bands: higher settings mean a greater processing latency but can produce better results. The LMH Mix control allows the dry input signal to be blended with the compressed signal, for parallel compression. 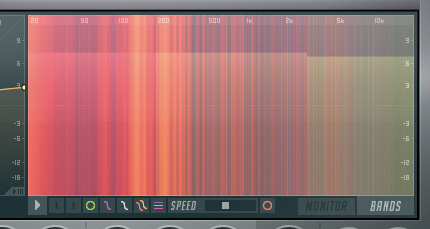 This can be used with various configurations of the three frequency bands and Master band, and Maximus includes a useful 'NY Compression' preset that uses just the Mid band (with the Low and High bands switched off, the Mid band automatically operates over the full frequency range) and the Master band. Applied to a full drum mix, this is capable of turning even a fairly polite performance into a raging monster, particularly if the Release control is tweaked to bring up the ambience between the main beats. Strictly speaking, Maximus doesn't do true side-chain compression but it can do frequency-sensitive compression with its MID Master Mode. 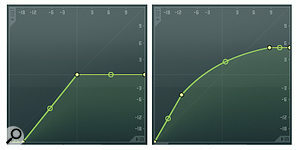 This allows, for example, the frequencies of the kick drum to be isolated and then used to drive the compressor. A side-chain input would, however, be a welcome addition at some point. Two example compression curves. The first starts with a gate, then has a section with no compression before finishing with limiting. The second provides expansion at lower levels, then a gentle compression curve where the compression becomes greater at higher input levels, before finishing with limiting.While I did most of my testing with Cubase, I also tried Maximus with both Acid Pro 6 and Sound Forge 9. In all three hosts, Maximus seemed to behave itself very well and I didn't experience any problems. IL have supplied a decent number of presets for different applications, including treatments suitable for basic track–based compression (although these are mostly multi–band examples — a few more single–band presets wouldn't have gone amiss), de–essing and gating. The presets designed to be slapped across a drum submix are particularly impressive: capable of adding a little extra punch to an otherwise perfectly respectable acoustic drum part or, if pushed a little harder, creating a wonderfully monstrous rock sound. 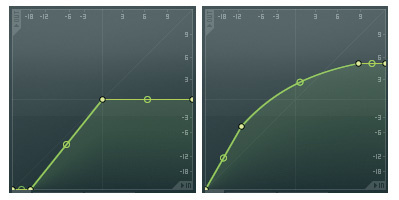 The mastering presets move from subtle and transparent through to loud, proud and obvious. As ever with DIY mastering, it is perfectly possible to ruin a good mix if the processing is overdone, but this will be the fault of the user rather than of the plug–in itself. In use, the really impressive element of Maximus is the flexibility created by the customisable compression curves — it is perfectly possible to create a curve that combines noise gate, expansion, compression and limiting stages. And while everyone will have their own take on how a compressor 'sounds', to my ears, at least, Maximus can do its job in a very transparent way once you have got to grips with the control set. During testing, I was able to A/B Maximus alongside my own DIY mastering weapon of choice, Izotope's Ozone. Sonically, for general volume control of a full mix, I felt there was little to pick between the two plug–ins. Ozone does offer much more of a complete 'mastering tool kit' with its EQ, reverb and harmonic enhancer. However, it is perhaps a little over the top for more general use as a track–based compressor — a role Maximus is pretty good at. 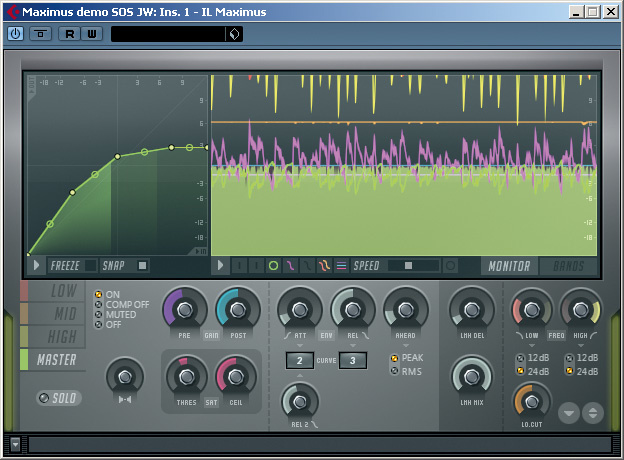 Maximus straddles an interesting line between insert effect and mastering processor. As an insert effect, the customisation of the compression curves means that it is considerably more flexible than many dynamics plug–ins. I suspect, however, that many users might baulk at paying the asking price for a track compressor, and it will be the DIY mastering possibilities that attract the most attention. While Maximus doesn't provide all the bells and whistles that might be required in a full mastering suite, for the key element of multi–band dynamics processing it is well equipped and up to the job. Used wisely, Maximus is capable of very good results and, if you can't justify the hourly rate of a professional mastering house, the demo version is well worth evaluating on your own PC system. A very effective tool for dynamics processing, used as an insert or mastering processor. As yet, no side–chain input. Magnifying glass required to read the control labels.